Book Review: 'The War Between Us' by Sarah Creviston Lee | WWAM Bam! I think I tend to have a bit of a thorny history when it comes to “The War Between Us” by Sarah Creviston Lee. About two years back, when I was pregnant with my little boy, I remember discussing it with my former friend in 2015 (who sadly passed away in 2016) on whether or not I should get it. My stopping point was that some of the reviewers described it as a Christian novel, and for those who know me, I don’t like reading inspirational/Christian novels of any kind. While the author assured me that the book isn’t Christian, doing research on my own and typing in keywords, as well as having my friend tell me that perhaps the author herself isn’t aware of how Christian her book might be because she lives it, persuaded me not to get it. Flash forward to 2018, when I finally had a chance to read it, and most unfortunately my friend was proven right. 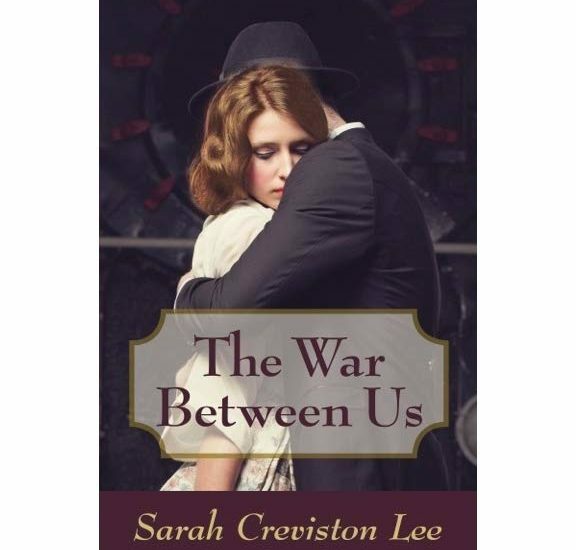 “The War Between Us” by Sarah Creviston Lee was a big teaching experience for me. While the characters don’t convert to Christianity, faith plays a very huge role in their lives, and the whole book is very pro-Church and about letting power rule their lives. In other words, this is not a tale where characters take control of their destinies, but instead let a higher power dictate their lives. Despite that major factor, I did learn an interesting fact about South Korea about a special type of cookie known as MaeJakGwa, which I hadn’t heard of before. The whole romance between Alex and Lonnie reads a lot like a romantic comedy in that he teases her, nicknames her “Sagwa” (Apple, her name was something like Appalonie) and teaches her a bit of the Korean language and culture. I’m pretty sure it’s a kind of romance that many people can identify with. But what I think I didn’t really enjoy is that he had to be extra and unbelievably good when it came to his mistreatment by Lonnie’s town. (I am aware that people of ethnic minority groups as well minorities themselves have to behave in similar ways when they are in a place that thinks badly of their group as a whole.) But reading about it doesn’t make it any easier. Alex also tends to be more Americanized, and I was disappointed that not a lot is shown about his family and the impact that the Japanese had on them, beyond that they are Korean nationalists and want Alex to hate the Japanese like they do. I was disappointed that Alex’s parents’ marriage wasn’t talked about because its known that after Japan took over Korea, Korea was forced to adapt to Japanese culture, and one aspect was the picture brides, which wasn’t really discussed. Some of his actions as well don’t make sense to me. Imagine you are hated by an entire town, and you are given a free ticket to escape this town; would you continue to stay there or leave the town? He chooses to stay. In conclusion, although an excellent tale, “The War Between Us” by Sarah Creviston Lee was filled with unrealized potential for me, and ended up being disappointing. Svetlana loves reading a variety of books, from historical to contemporary, and discovering hidden gems in books. She's also a single mother to a toddler who is of South Chinese/Russian Jewish ancestry. I’ve never heard of this book, but now I’m intrigued to read it! Thank you for sharing!